Myths About Spiritual Gifts: #4 "I Can't Help . . . I Don't Have that Gift"
Romans 12:6-8 describes eight gifts: prophecy, serving, teaching, exhorting, giving, leading, and mercy. 1 Corinthians 12:8-10 lists nine manifestations of the Spirit: word of wisdom, word of knowledge, faith, gifts of healing, miracles, prophecy, distinguishing of spirits, tongues, interpretation of tongues. Verse 28 adds eight appointments: apostles, prophets, teachers, miracles, healings, helps, administrations, and tongues. 1 Peter 4:11 mentions only two gifts: speaking and serving. We know that every believer has the Spirit of God (Rom 8:9; Eph 1:13-14), that “we have gifts that differ” (Rom 12:6), that to “each one is given a manifestation of the Spirit” (1 Cor 12:7), and that “each one has received a special gift” (1 Pet 4:10). We also know that while identifying one’s spiritual gifts(s) with certainty is not required and may not even be entirely possible, the Spirit’s giving and manifesting is not at all irrelevant. 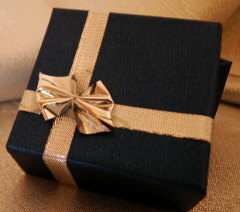 These gifts are designed to play an important role in the church. After all, they are deliberately tasked means designed to work toward one vital end: “so that in all things God may be glorified through Jesus Christ, to whom belongs the glory and dominion forever and ever. Amen” (1 Pet 4:11b). If their purpose is His glory, then ignoring them is not an option. But if a person is, for example, fairly certain that they have been gifted with teaching, then what are they to do when faced with a different ministry opportunity having little or nothing to do with teaching? 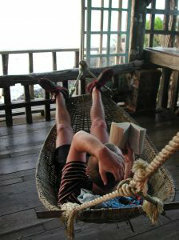 What if there is a financial need in the church that the “teacher” is aware of and has the means to help resolve. Can he claim that he is only to function as a teacher, and hasn’t got the gift of helps? Does this absolve him of any responsibility toward the needy family? 2 Corinthians 8:14 describes the purpose of abundance as for supplying needs (without any reference to spiritual gifting, by the way). Paul adds in 9:8 a broader purpose statement for abundance: “…always having all sufficiency in everything, you may have an abundance for every good deed.” Every good deed implies that one’s work and service is to extend beyond personal spiritual gifting, though a case could be made that all gifting—including God’s provision of material wealth—is spiritual gifting. Read more about Myths About Spiritual Gifts: #4 "I Can't Help . . . I Don't Have that Gift"
With over 40,000 members, Lakewood Church in Houston, Texas is the largest church in the United States. For better or for worse, Lakewood and its leader Joel Osteen are profoundly influential. One significant area of influence is in the realm of spiritual gifts. A search of the terms “spiritual gifts” on Lakewood’s website produced (at the top of the list) a downloadable booklet called Understanding the Baptism of the Holy Spirit, from Joel Osteen Ministries, and authored by Lisa Comes. The booklet explains how and why one should speak in tongues, and cites speaking in tongues as evidence of the baptism of the Holy Spirit (point 5, page 3). The view promoted in the booklet is not original with Lakewood, Osteen, or Comes—in fact, it is the prevailing view in Pentecostal and Charismatic denominations. But is it a biblical view? 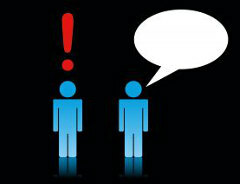 Is speaking in tongues needed evidence that we have the Holy Spirit? First, as we considered in the previous article, Romans 8:9 emphatically notes that “if anyone does not have the Spirit of Christ, he does not belong to Him.” By contrast Osteen’s and Comes’s booklet cites Acts (2:17-19, 39), Luke (11:13), and John (7:37-39) to support the point that not every believer has the Holy Spirit. And it is true that Romans presents a very different picture of how one receives the Holy Spirit than do the Gospels and even the book of Acts. But rather than contradicting one another, these books consider different contexts—different times, and different ways in which God has worked over the ages (nothing contradictory at all). To illustrate, Joel Osteen has never (to my knowledge) advocated that believers today should present to the Lord two turtledoves or two young pigeons as is mandated in Leviticus 5:7. Presumably this is because Osteen recognizes that Leviticus was written about a different people and context than the church of today. The Bible is notably silent about receiving the Holy Spirit as a step separate from salvation—except in the book of Acts (more on that book in a moment). Romans 8:9, for example, says, “But if anyone does not have the Spirit of Christ, he does not belong to Him.” We either have the Spirit or we don’t. We are either in Christ or we aren’t. Paul leaves no middle ground. In fact, Ephesians 1:13 tells us how and when we receive the Holy Spirit: “In Him, you also, after listening to the message of truth, the gospel of your salvation—having also believed you were sealed in Him with the Holy Spirit of promise.” Paul adds that the Spirit is “given as a pledge [or downpayment] of our inheritance [eternal life], with a view to the redemption of God’s own possession, to the praise of His glory” (Eph. 1:14). At the moment of belief, the Holy Spirit is given to believers. 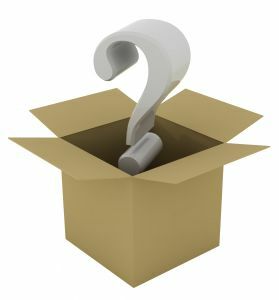 Miraculous Gifts: If They Ceased, Why? So far in this study of cessationism (Part 1, Part 2, Part 3), we have considered the what question and the when question. Per the what question, cessationists conclude that what took place in the New Testament (with regard to the miraculous gifts) is not happening in the church today—even if charismatics are using biblical terminology to refer to non-biblical practices. Per the when question, cessationists conclude (on the basis of passages like Ephesians 2:20) that the miraculous and revelatory gifts were intended only for the foundational (apostolic) age of the church. Thus, they should not be expected to continue after the time of the apostles. But this raises the why question: Why were these gifts given, such that they are no longer necessary after the foundation age ended? At least three purposes are designated in Scripture. The miraculous gifts were given as a sign by which God authenticated His messengers during a time of transition from Israel to the church. That purpose was no longer necessary once the transition was complete and the church was firmly established. 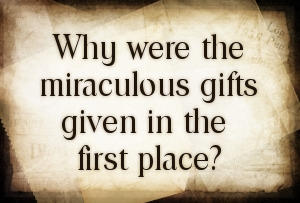 Read more about Miraculous Gifts: If They Ceased, Why? 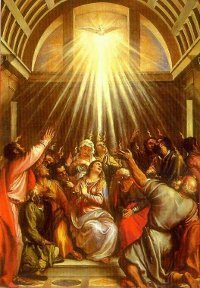 Did all the miraculous gifts of the Spirit, such as tongues and prophecy, cease with the completion of the New Testament? If we take the position that prophecy continues in some form, is such a view compatible with the conviction that God has given us all the authoritative revelation He intended to give (that the the canon of Scripture is closed)? 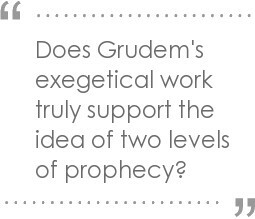 Read more about Does Prophecy Continue? Originally published as a single article: “Tongues—Are They for Today?,” DBSJ 14 (2009). Read Part 1, Part 2, and Part 3. The following is not so much an argument against tongues per se, but a collection of snipes at the practice of tongues in the broad church today. In short, they argue collectively that if speaking in tongues continues in the church today (which I grant only for sake of argument), most of what passes for glossolalia today does not fit the biblical criteria for tongues as set down in 1 Corinthians 12–14. Specifically, the following four expressions of “tongues” in the church today fail because they do not fulfill the primary function of spiritual gifts—the edification of the church. Originally published as a single article: “Tongues—Are They for Today?,” DBSJ 14 (2009). Read Part 1 and Part 2.